Don't let pain keep you from the lifestyle you want. Chiropractic care can help reduce or eliminate chronic pain. Call us and discover how a chiropractor can help you. Your occupation is your livelihood, but pain shouldn’t be. Whether you suffer from back or joint pain, chiropractic treatment can keep your body healthy. Our individualized care will help keep your body in top condition. Contact us today to make an appointment with our chiropractor. For more than twenty-five years, Auburn Chiropractic Associates has been helping patients achieve happier, healthier lives by combining safe and effective procedures with individualized treatment plans, a warm and caring environment, and a passion for education. 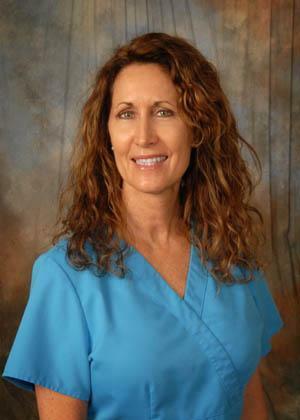 Dr. Hartford has been a chiropractor in the Auburn community for over 25 years. Auburn Chiropractic Associates offers a drug-free, non-invasive, and proactive approach to diagnosing and relieving a number of neuromusculoskeletal problems, including joint pain, back pain, and headaches. We are committed to educating our patients about not only their injuries and treatment plans but also about the preventative measures that patients can use to manage their overall wellbeing. Our team at Auburn Chiropractic Associates treat patients of all ages with a wide range of health conditions. We take the time to get to know you and your needs in order to provide individualized treatment plans that ensure you receive quality care with excellent outcomes. Your journey to lasting wellness starts here. Call us today to schedule your consultation! Contact us today to schedule your first visit and learn how Chiropractic care can improve your health. Sciatica: What exactly is it and how do you treat it properly? Back Pain Fundamentals: What it is, how to prevent it, and how to treat it. ArthritisChiropractic care can provide effective relief from arthritis pain. Back PainWe can create an effective treatment plan for your back pain. Neck PainLeft untreated, neck pain can lead to headaches or other issues. HeadachesChiropractic care can be more effective than drug therapy. Auburn Chiropractic Associates has the expertise to effectively diagnose and treat your condition, whether you are experiencing back pain, neck pain, headaches, or some other type of pain. Our friendly staff is devoted to providing information to help you live your healthiest life. Your Chiropractor will provide the personalized treatment that all patients deserve. Having an adjustment by a chiropractor is easy and the advice and guidance that we provide can help lead you to living pain free.